How do you find the scientific quality of the published articles on our web site? Journals published by Aras Part Medical international Press comply with the policies and guidelines of the Committee on Publication Ethics (COPE), World Association of Medical Editors (WAME), and regulations of International Committee of Medical Journal Editors (ICMJE) and adhere to all of the recommendations and guidelines in reporting, reviewing and publishing of scientific research in medical journals. Submitting a manuscript to the journals published by Aras Part Medical international Press means that all of the authors noted as author have read and agreed to the content of the manuscript and confirmed its compliance with the journal’s policies. Authors of descriptive manuscripts including research on human or animal subjects must have their manuscript review and approval (or review and waiver) prior to the submission by Institutional Review Board (IRB) or Institutional Animal Care and Use Committee (IACUC). Authors of a manuscript who coauthor several articles also must duly obtain approval of IRB or IACUC or any other relevant institute. Documentation of IRB or IACUC status must be provided if requested. If the review board or committee is not available, authors have to ensure that their research complies with Declaration of Helsinki, 2013 revision, or “International Guiding Principles for Biomedical Research Involving Animals” revised in 2012 by the International Council for Laboratory Animal Science and Councils for International Organizations of Medical Sciences. A statement of IRB or IACUC approval or waiver (and reason for waiver) has to be included in the article according to Declaration of Helsinki, 2013 revision, or “International Guiding Principles for Biomedical Research Involving Animals” revised in 2012 by the International Council for Laboratory Animal Science and Councils for International Organizations of Medical Sciences. For laboratory and experimental research on a client’s animal, authors have to document informed consent of the client or owner and observe the above mentioned standards (best practice) of veterinary care. Authors are believed to be aware of publication ethics, especially as to writing, double submission, plagiarism, manipulation of figures, competition of interest, and compliance with ethical standards of research. In case of suspicious misconduct, COPE standards and procedures will be followed. Any manuscript submitted to the journals published by Aras Part Medical international Press and includes personal medical information of an identifiable individual requires express consent of the patient before the article is published. In the absence of informed consent, identifiable details including initials of patient’s name, specific dates, particular geographical location or other identifiable attributes must be removed, but this may not alter the scientific meaning.Important information relevant to the scientific meaning has to be stated in order to prevent patient identification, for example, by referring to a season instead of a date or a region rather than a city. If a patient may be identified in the manuscript, authors have to try to obtain informed consent for publication from the patient, his or her parents/legal guardians. Informed consent requires that the patient see the article before submission. Written consent must show that the patient has seen a completeversion of the manuscript or has refused to do so. Patient consent should be archived and accessible if requested. A statement of obtaining and archiving informed consent has to be included in the article. Images such as x-rays, laparoscopic images, ultrasound images, histological and pathological slides, or images of un distinctive parts of the body have to become unidentifiable by removing any identifiable sign so that patient identity will not be disclosed. Based on ICMJE recommendation, a clinical trial is defined as any research project that continuously assigns people or a group of people for intervention, with or without simultaneous comparison or control groups, to study the causal relationship between the interventions and health outcomes. According to ICMJE guidelines and recommendations, all of the journals published by Aras Part Medical international Press Will only take into account the reports of clinical trial only if they were registered before any subject is selected. A requirement for articles published by Aras Part Medical international Press is that all of the experiments be publicly registered pursuant to ICMJE approval of any registry that is a primary register of the WHO International Clinical Trials Registry Platform www.who.int/ictrp/network/primary/en/index.html). Registration number of the clinical trial has to be included at the end of the manuscript submitted to the journal. Authors should follow the guidelinesprovided by the EQUATOR network when preparing their articles. Authors have to respect these guidelines and use expert opinion on application of these guidelines. The complete list of guidelines are available at http://www.equator-network.org/reporting-guidelines. All authors are expected to provide in the manuscript a statement of any business affiliation, counseling, interests and licensing agreements that may lead to conflict of interest as to the submitted manuscript. Details of this disclosure will remain confidential. However, authors have the responsibility to provide in the acknowledgment section a public statement disclosing conflicting interests in the study. Examples of potential conflicting of interest include relationships, financial or otherwise, that might detract from an author’s objectivity in presentation of study results, and interests whose value would be enhanced by the results presented. Any financial source for the project, both institutional and corporate, should be stated in the financial section of the submitted form (see “acknowledgement” below). In addition, if the manuscript is related to a business product, the name of the producer has to be provided explicitly in the text. This research has not received any financial help from any financial agency in the public, business or nonprofit sectors. Statements of indirect financial support (for example, business affiliation, counseling, interests and licensing agreements) are also admissible. Substantial contributions to the conception or design of the work, or the acquisition, analysis or interpretation of data. Drafting the work or revising it critically for important intellectual content. Final approval of the version published. Agreement to be accountable for all aspects of the work in ensuring that questions related to the accuracy or integrity of any part of the work are appropriately investigated and resolved. In addition to being accountable for the parts of the work he or she has done, an author should be able to identify which co-authors are responsible for specific other parts of the work. In addition, authors should have confidence in the integrity of the contributions of their coauthors. All those designated as authors should meet all four criteria for authorship, and all who meet the four criteria should be identified as authors. Those who do not meet all four criteria should be listed in an Acknowledgements section. Participation solely in the acquisition of funding, the gathering of data, technical help, writing assistance, and general supervision of the research group does not warrant authorship. Financial and material support should also be acknowledged. Please guarantee that anyone stated in the Acknowledgements section has granted its clearance for permission to be listed. Any change in authorship (ie, order, addition, and deletion of authors) after initial submission must be approved by all authors. Authors should determine the order of authorship among themselves. In addition, any alterations must be clarified to the Editor/Editor-in-chief. In line with COPE guidelines, our journal requires written confirmation from all authors that they agree with any proposed changes in authorship of submission(s) or published item(s). This confirmation must be via direct email from each author. It is the corresponding author’s responsibility to ensure that all authors confirm they agree with the proposed changes. If there is disagreement amongst the authors concerning authorship and a satisfactory agreement cannot be reached, the authors must contact their institution(s) for a resolution. It is not the journal editor’s responsibility to resolve authorship disputes. A change in authorship of a published article can only be amended via publication of an Erratum. An essential part of any publication process is the peer-review process. In this process the reviewers not only give their scientific view on an article, but also recommend points for improving the quality of the article. In this way the submitted articles are refined to such an extent that are published as a logical and scientifically approved article in a journal. As a general view; it is the responsibility of the journals to offer an effective peer-review system. The aims of this publisher for peer-reviewing are of high standard and quality. Peer-review process selects papers of significant scientific interest. This publisher expects referees to not only confirm the novelty of a manuscript but also to identify the bad features and mistakes. In addition, reviewers are encouraged to suggest points for improving the submitted article. 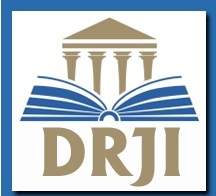 Detection of fraud and plagiarism is of utmost significance to the editors of this journal. The goal of the publisher is to publish a well written, scientifically approved manuscript which is of value for the scientific community and society. As a peer-review policy, all reviewers are requested to keep the submitted manuscripts and any associated data confidential. However if a reviewer seeks advice while assessing a manuscript, he/she must ensure that confidentiality is maintained and that the names of any such colleagues must be provided to the journal as soon as possible. This publisher makes its utmost effort to keep the content of all submitted manuscripts confidential until they are published. 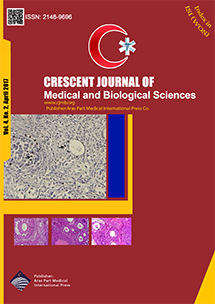 Our journal accepts manuscripts report novel findings, which could result in impacts on in all fields of women’s health and reproduction science based on its originality, importance, interdisciplinary interest, timeliness, accessibility, elegance and surprising conclusions. Hence, it offers an exceptionally fast publication schedule including prompt peer-review by the experts in the field and immediate publication upon acceptance. Quality and topic of submitted manuscript beside the priority of research field are the least considered criteria in each manuscript before entering in formal review process. All submissions to the journal go through a double-blind peer-review process to ensure content quality. At the first stage, an internal staff checks format and style of manuscript to assure that it is suitable to go through the normal peer review process. If authors have not considered the guides, the manuscript will be sent back to authors for compatibility. 5. If the decision is Minor Revision or Major Revision, authors have 45 days to resubmit the revised manuscript. Authors may contact email address if they require an extension. 6. Upon resubmission, the Editor may choose to send the manuscript back to external reviewers, or may render a decision based on personal expertise. 3- Managing editor receives the reviewers’ comments and sends them along with decision letter to corresponding author. Final decision on each manuscript will be made by the Editor-in-Chief. As our journal is a rapid response journal, the review process takes between 2 to 6 months. Journals published by our publisher use iThenticate software, which is a plagiarism detector verifying the originality of the submission content before publication. If plagiarism is identified, we will follow COPE guidelines. If plagiarism is detected during the peer review process, the submission may be rejected. If plagiarism is detected after publication, we reserve the right to issue a correction or retract the paper, as appropriate. We reserve the right to inform authors' institutions about plagiarism detected either before or after publication. New critical information or data obtained by the authors or others after acceptance of the article, but before confirmation of proof, cannot be added to the article. Instead, an appendix,approved by the editor-in-chief,may be added at the end of the article. This appendix has to be very short and may lead to delayed publication of the article. Corrections of articles after online publication are only for mistakesthat may jeopardize scientific data, like a mistake in author’s name, or may significantly influence the interpretation of data, but do not undermine the general results of the article.Corrections are not available forarticles published online for more than six years. misconduct or honest mistake. In the case of retraction because of misconduct, the author’s institute and the financial agency will be informed per COPE guidelines. CrossMark is a multi-publisher initiative to provide a standard way for readers to locate the current version of a piece of content. By applying the CrossMark logo, CJMB is committing to maintaining the content it publishes and to alerting readers to changes if and when they occur. Clicking on the CrossMark logo at the top of each CJMB article in PDF will tell you the current status of a document and may also give you additional publication record information about the document. Based on our policy, we will apply the COPE Policies on Retraction Guidelines when published content needs to be considered. No specific policy– we handle complaints on a case-by-case basis.